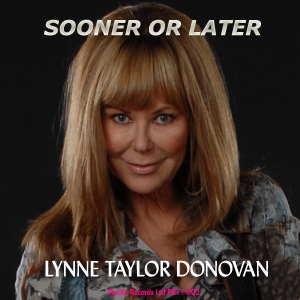 Lynne Taylor Donovan fell in love with music and entertainment at an early age, During her teenage years she hosted her television show and also worked as a commercial voiceover artist. Today, she is one of the premiere voices in Canadian country music. Having produced several memorable hits in Europe and North America, Donovan has gained quite a reputation as a singer/songwriter. She is often noted for her audience-captivating lyricism that’s heard like a Hollywood novel is read. Sooner or Later, Donovan’s latest single is a unique example of her songwriting style. Donovan is one of the best vocalists in the world. Sooner or Later is a perfect example of how she can turn a country song into a transcendental experience. The song is about a woman who is in love with a man who can’t keep his word. The music has an acoustic flare and Donovan’s voice is simply impeccable over this track. Sooner or Later is penned by renowned songwriters “Hobo” Jim Vasos and Kim Tribble. It is the third single from the Nashville sessions.which produced the European #1 hit “Strong One” and the European #2 hit “Am I Dreaming”. This one is definitely a winner!